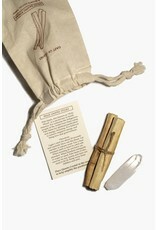 The perfect pouch to summon positive energy and love! 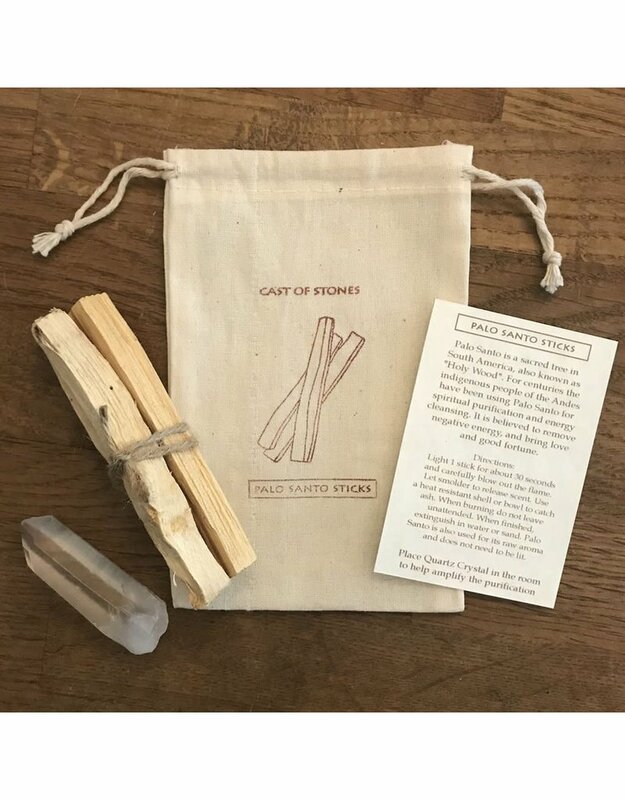 Palo Santo, a sacred tree in South America, is used to spiritual purification, healing & pain relief, and cleansing of energy. It is also used to attract love and good fortune. 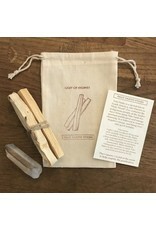 Quartz Crystal, The "Master Healer" stone has multiple benefits. 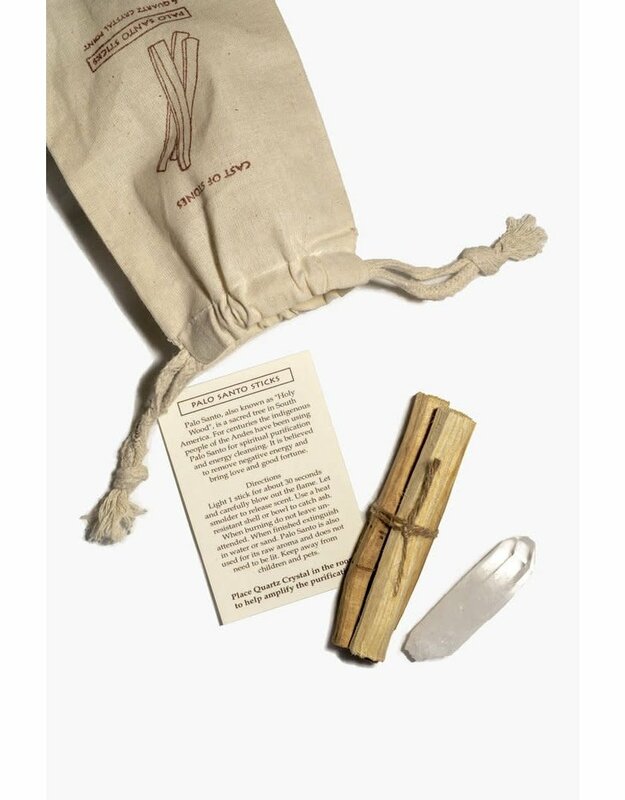 Quartz Crystal purifies the mind, body, and soul allowing you to navigate through life feeling more balanced.